You'll be £25.00 closer to your next £10.00 credit when you purchase The Bramall Papers. What's this? 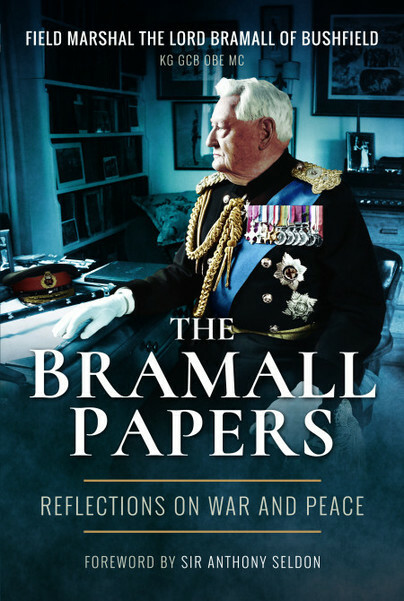 This highly decorated field marshal is consequently no ordinary veteran, and his book The Bramall Papers is a fascinating insight into one of Britain’s foremost military minds. With a foreword by Sir Anthony Seldon and edited by Robin Brodhurst, The Bramall Papers is a wideranging collection of lectures, speeches and letters dating from the 1950s to the present day. It is a serious study into the intensely complicated realities of modern warfare and its implications. The book is initially structured chronologically and covers World War II and the Cold War, with Bramall being heavily involved in both. His perspective on World War II is interesting because he approaches his own experiences from a broader historical outlook rather than as a direct veteran testimony. Nevertheless, it is clear that the war left an indelible impression on him. Every chapter of this anthology bears witness to deep thought, breadth of vision and, perhaps most importantly, great wisdom. It is a book that will have wide appeal, especially to those with an interest in defence policy, strategy, war studies and leadership. This volume certainly reflects Bramall's breadth of interest and it holds the readers attention. As Sir Anthony Seldon rightly states in his introduction, Bramall stands as one of the great post-war military thinkers in Britain. His vision, depth of analysis and clarity of expression come through, making this reviewer reflect on some of his successors of late and finding them wanting. He has been well served by his editor both in the selection of pieces, but also by his light touch in the assembly, with helpful notes but not overly imposing upon it. An insightful, well assembled and highly readable volume which does its originating author – and editor – much credit. Bramall is one of a kind: a brave and talented soldier who became the finest military theorist of his generation. His sage words should be required reading for politicians of all hues. A wonderful book, consisting of speeches, reflections and memories by our most distinguished field marshal. Field Marshal The Lord Bramall of Bushfield KG GCB OBE MC was educated at Eton College before being commissioned into the King’s Road Rifle Corps in 1943, taking part in the Normandy landings. He was awarded the Military Cross in March 1945.\r\n\r\nHis career progressed rapidly, instructing at the School of Infantry and the Staff College, Camberley before serving on Lord Mountbatten’s staff, earning his OBE.\r\n\r\nAfter commanding his Battalion, during the Borneo Confrontation, and 5th (Airportable) Brigade, he became successively GOC 1st Armoured Division, CBF Hong Kong and C-in-C UK Land Forces. 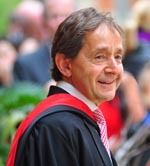 In 1979 he was appointed Chief of the General Staff playing a key role in the Falklands War before being promoted to Field Marshal as Chief of Defence Staff in 1982.\r\n\r\nHis many appointments have included President of the MCC, Lord Lieutenant of Greater London and Knight of the Garter.\r\n\r\nHe married Avril (Vernon) in 1949 and they had a son and daughter.